As we all know, rent in Bozeman has become incredibly expensive as the town continues to grow at a rapid pace. The lack of affordable housing pushes valuable community members out of town to face long commutes or to relocate completely. The good folks at Homeword have been working to solve this problem by developing sustainably built, affordable housing throughout the state. 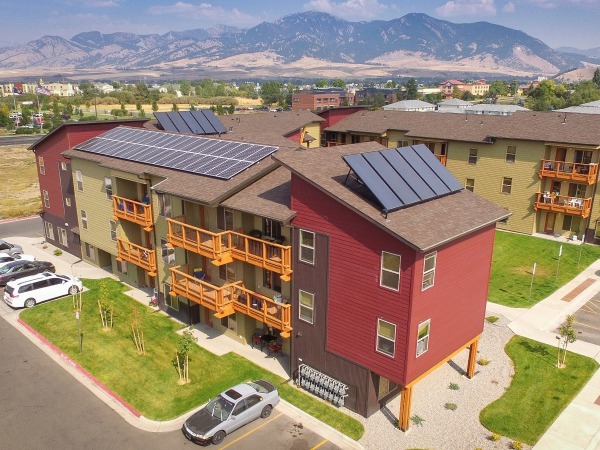 Together with GMD Development, Rotherham Construction, the City of Bozeman and many others, Homeword led the way on the Larkspur Commons project here in Bozeman. 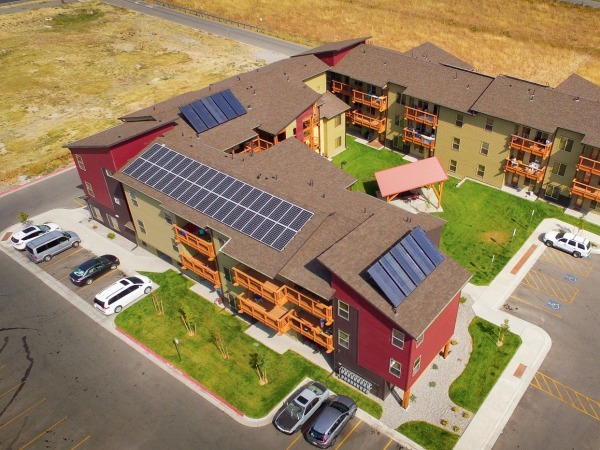 Larkspur Commons has 136 units ranging from 1-3 bedrooms that are rented out to families earning less than 50-60% of the area median income. 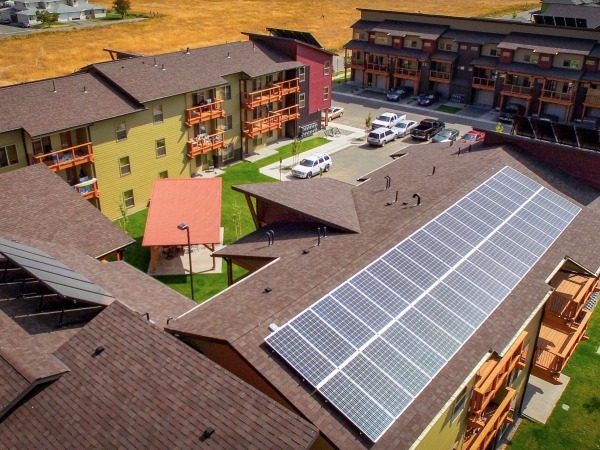 To help keep utility costs low, the development features a 4,000 square foot solar hot water system (the largest in the state) installed by our friends at Liquid Solar Systems as well as a 12.42 kW solar electric array installed by our crew. We are proud to have been involved in such an important project for our community! OnSite Energy was brought on board to provide design/build services for the project. The goal was to offset the electrical usage of the "common area", which mainly includes outside lighting and a community space within one of the eight apartment buildings. 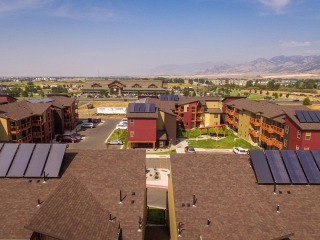 With the majority of the roof space allocated to the solar hot water collectors, the solar electric system was integrated into a west facing roof aspect. 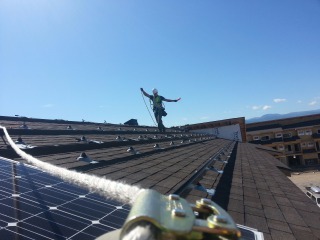 The use of solar energy will save the owners of the facility tens of thousands of dollars over the lifespan on the buildings, and easy investment decision and a perfect fit for an innovative socially based project.